A school talk is a three-to-five-minute presentation to boys during the school day to generate excitement Cub Scouts and tell them how they can join. School talks improve attendance at join nights dramatically. Do not miss this important step in the fall recruitment plan! A school talk can be conducted by any enthusiastic pack leader or volunteer. Contact your district executive to coordinate printing wristbands and scheduling the school talk. Ideally, flyers will have been sent home with boys already and your visit will serve as a reminder of join night. Supplies to take: customized wristbands with details about Cub Scout join night, pinewood derby car or other cool prop, Cub Scout uniform (full of badges). Call the principal at least two weeks prior to the day you want to conduct the school talk. Ask if you can go from classroom to classroom because it will be less disruptive than having all boys leave their classrooms to assemble for a presentation (and easier for you!). If classroom visits are not permitted you may be able to have boys gather for a brief assembly or speak to boys over their lunch period. Be sure a teacher or the principal is present to assist if this is the case. Stop at the school office to introduce yourself to the secretary and principal about 15 minutes prior to the time you have scheduled. Introduce yourself to each classroom teacher and say you are there to talk to the boys about Scouts, but the girls are welcome to listen (they may wish to join Girl Scouts). The actual presentation to the boys should include a brief description of the fun activities in Cub Scouts and when the sign up night is (see below for a sample script). 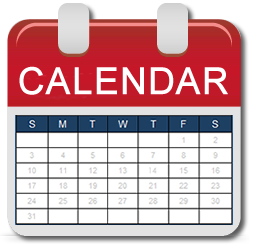 Repeat the date, time, and location of Cub Scout join night multiple times, and remind them that a parent needs to attend as well. Make sure each boy receives a wristband. Help every boy put the wristband on securely (teachers can help with this). Ask the boys to show the wristbands to a parent as soon as they get home. Stop at the office after all classes have been visited to express thanks and leave extra wristbands with the school secretary. Hi, I'm (name), and I'm here to invite you to join Cub Scouts! Cub Scouts is a fun club for boys only, and now is the perfect time to join! Our pack does all of these things and if you join you can too! You can join by bringing your parents to our join night on (date, at time, at location). I am going to give you a wristband to remind you to tell your parents you want to join Cub Scouts! Okay, just a reminder: what day is the sign-up night? What time? Where? Thank you for being good listeners! I hope to see you at our join night! This YouTube channel has a variety of school talk example presentations to use as inspiration for your classroom visit.